Snapshot – Like seasons, car designs have been changing constantly over the years. The shapes of cars have changed from curvy to boxy and curvy again. Evolution you may say, while others may call it revolution. Whatever be the term used to describe design changes, one thing has been constant, and that is “change”. Amid the frequent changes in car design, some cars have managed to retain their designs over decades, so much so that they are now instantly recognizable, and perhaps design icons in their own right. CarToq picks out four timeless cars that are on sale in India today. The Thar is a Mahindra Jeep (which has been around for more than 5 decades) with modern underpinnings sourced from the likes of the Bolero and the Scorpio. The off roader brings a modicum of refinement, creature comforts and finesse to the bare basic Jeep platform. Available in eople moving and lifestyle variants, the Mahindra Thar is a veritable head turner, mainly because of the timeless design it has retained. The Thar DI features a 2.5 liter direct injection turbo diesel motor and is aimed at the semi-urban and rural markets. The Thar CRDe features a 2.5 liter common rail, turbo diesel motor (105 Bhp-247 Nm), that is the most powerful engine that a Mahindra Jeep has ever seen. The Mahindra Thar starts from 4.75 lakh rupees. 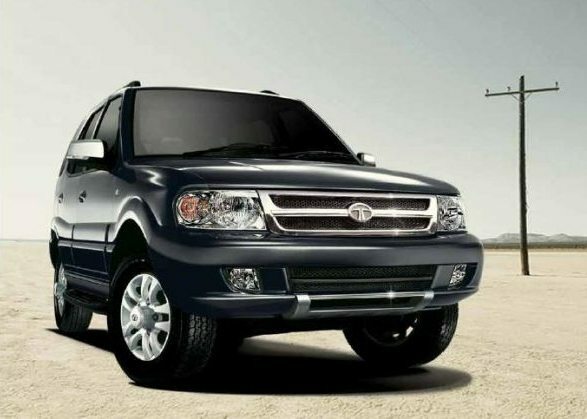 India’s original SUV, the Tata Safari DICOR has been around for a decade and a half. While the Safari has seen evolution with engines, transmissions, features and interiors getting a makeover, the overall shape of the SUV has remained constant, making it a timeless design of sorts. The Safari enjoys a dedicated fan following in India and the SUV is one of the instantly recognizable vehicles on Indian roads. Currently, the Safari DICOR sits below the Storme, a new iteration of the SUV, and comes with a 2.2 liter DICOR turbo diesel engine that’s good for 138 Bhp-320 Nm. The Safari DICOR starts from 8.42 lakh rupees. The Maruti Suzuki Gypsy is an ever green off roader that is also one of the most affordable 4X4 SUV that money can buy in India with a starting price of 5.42 lakh rupees. 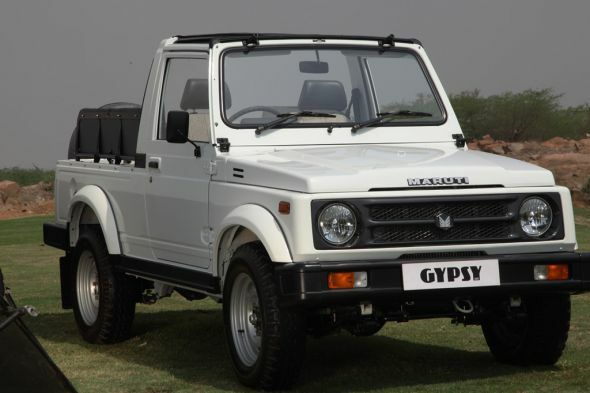 While the Gypsy has seen multiple successors internationally, the off roader has largely remained unchanged in India, where a steady stream of orders from armed and paramilitary forces of the country, has kept this vehicle afloat. The Gypsy is known for its mountain goat like behavior off the road and bone jarring ride quality on the road. Sold with a 1.3 liter petrol engine, the Gypsy comes in hard top and soft top variants. Instantly recognizable, tastefully modified Gypsy still turns heads, and this is something cars half its age cannot claim. Some call it the “relic of the raj, while most others have fond memories of the car. The Indian car market, before the 1980s, was predominantly made up of the Hindustan Ambassador, the Mahindra Jeeps and the Premier Padmini. 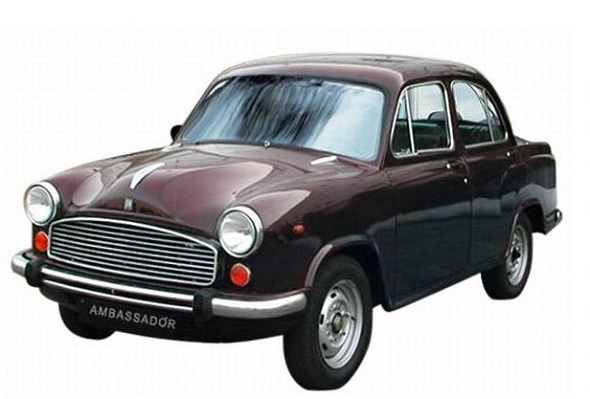 While other contemporaries have fallen by the wayside or have been resurrected in different forms, the Ambassador has motored on, with its design largely unchanged. The car is now available across India as Hindustan Motors has added a BS4 emissions norm compliant turbo diesel 1.5 liter engine to the Ambassador line up. The Ambassador starts at 4.12 lakh rupees.